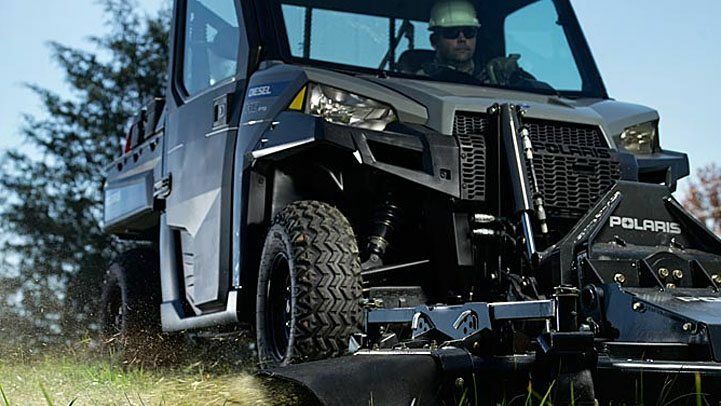 Integrated front PTO. 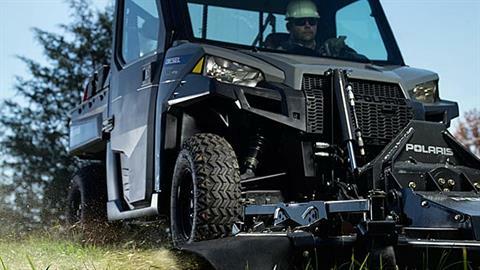 Compatible with PTO and Hydraulically Controlled Front Attachments. 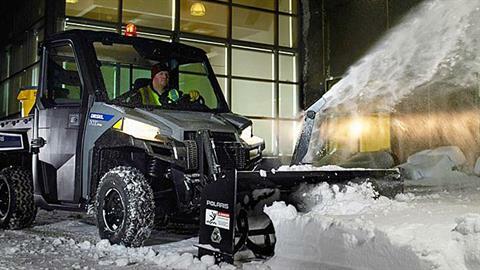 Factory-installed cab with heat, defrost, and A/C. 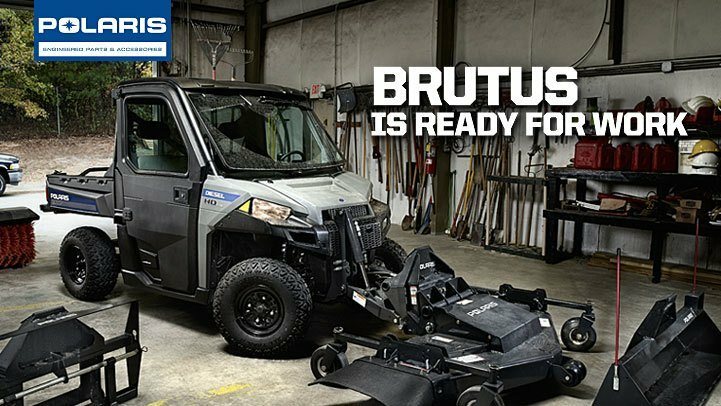 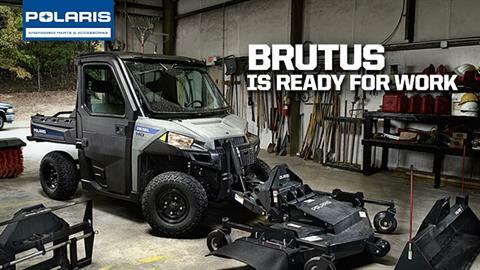 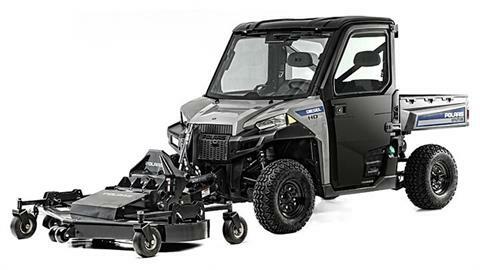 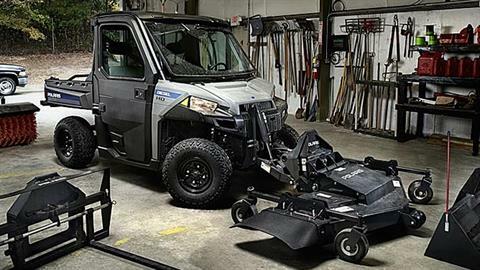 The BRUTUS™ HD PTO Deluxe is the most versatile diesel side by side utility vehicle in its class. 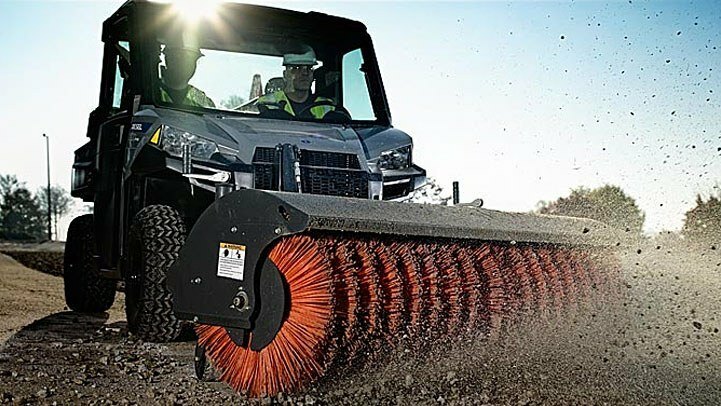 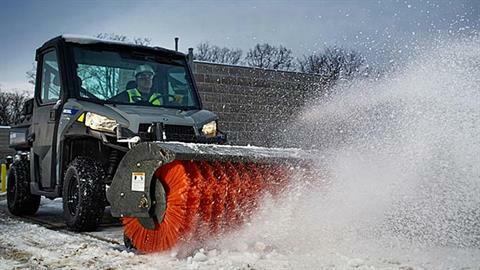 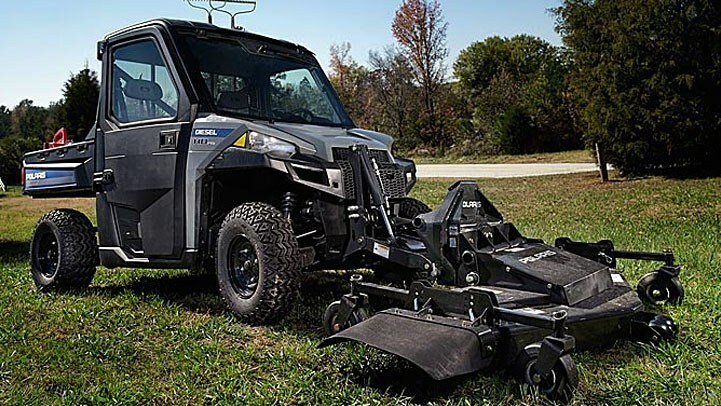 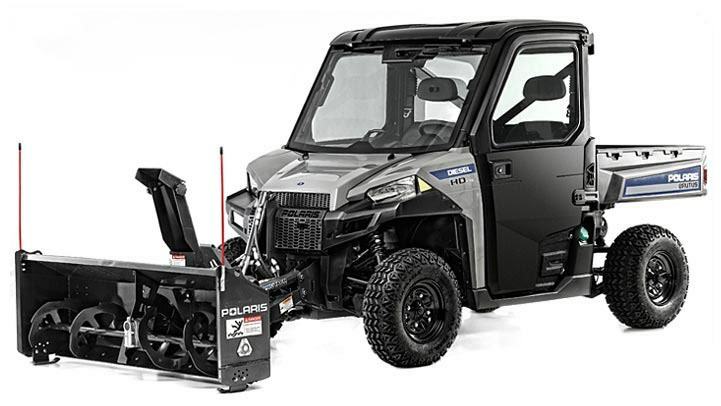 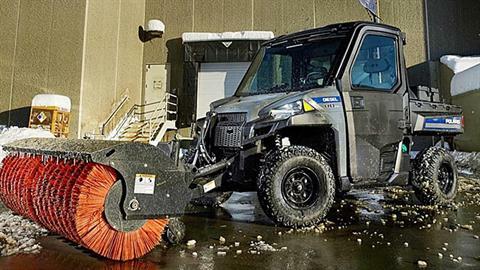 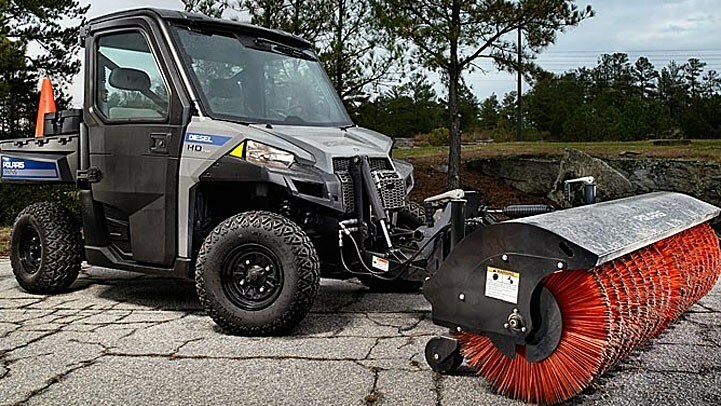 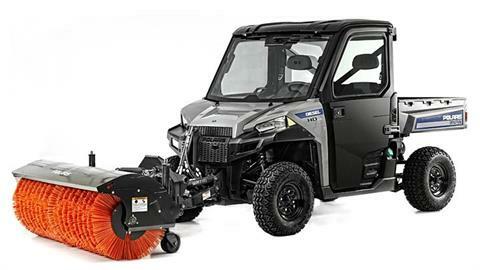 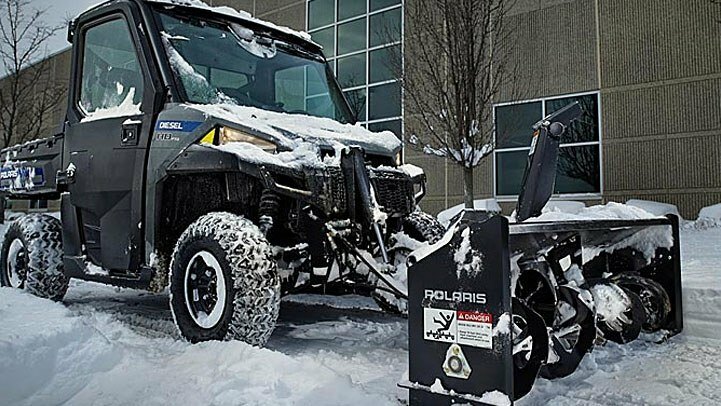 With a PTO-powered, front-end Pro-Tach™ attachment system, quickly and easily transform from one hard-working vehicle into an entire fleet of commercial machines – plow and blow snow, move dirt, level surfaces, lift pallets, mow lawns or large fields, and sweep sidewalks – getting more done in less time and for less money. 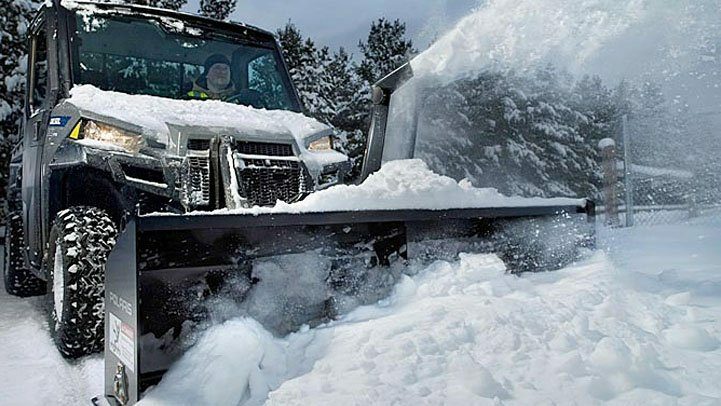 Plus, with a factory-installed climate controlled cab including heat, defrost and A/C, work comfortably all day and in any weather. HARD DOORS: Strong, durable sound-dampening doors have hinged windows that let riders introduce airflow or close off the cab for the fullest protection from weather or off-road hazards.